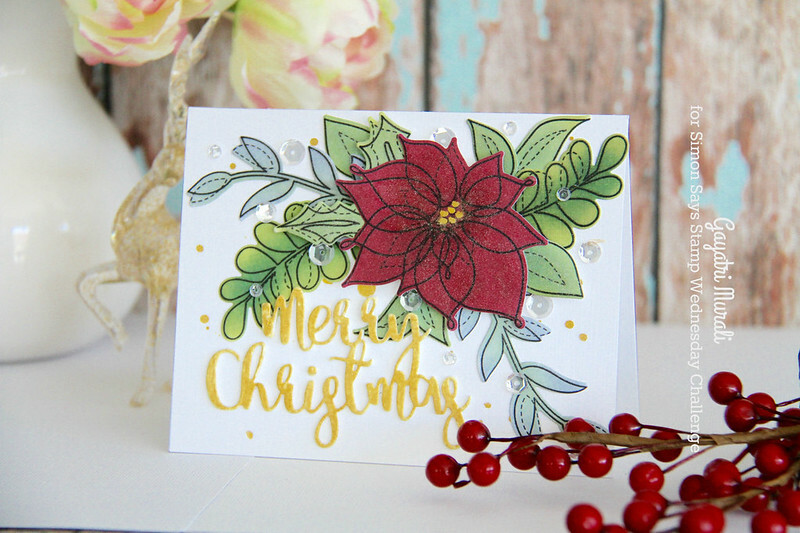 I played with Simon Says Stamp Believe in The Season release stamp set called Winter Flowers and coordinating dies. I LOVE this style of illustration. The images look pretty and delicate. 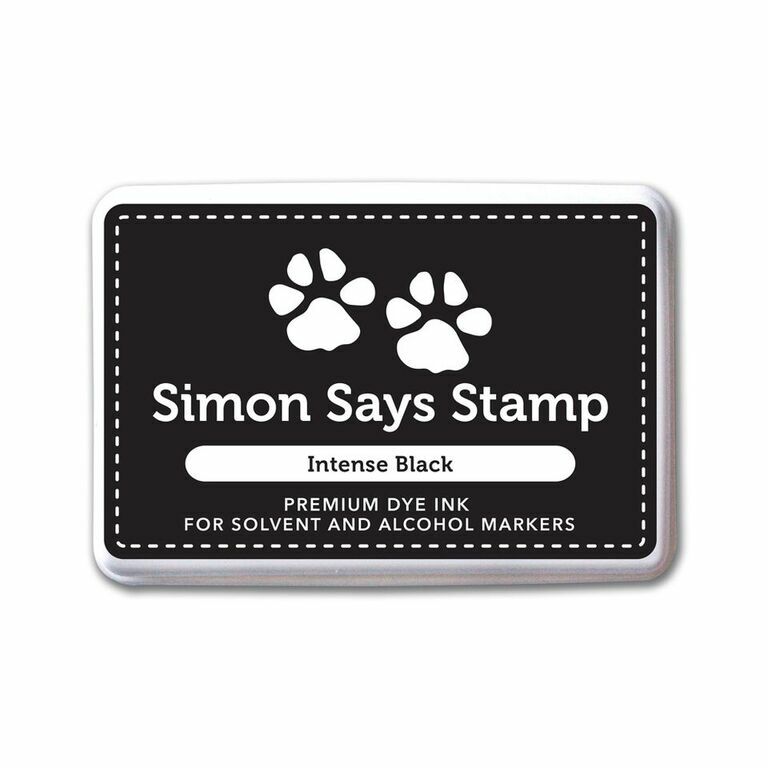 I have used the new release inks to make this card. I stamped the images on white cardstock. Then used the inks Merlot, Barely Blue, Evergreen along with older ink Willow to sponge on the images. I used Merlot on the poinsettia and the others on the leaves and foliage. Then used the coordinating dies to die cut them out. On a white card base, I spattered some Finetec Gold Mica watercolour. Then clustered and glued the die cuts as shown. Some of the foliage is glued flush and some are using foam adhesives with the poinsettia adhered using foam for dimension. I brush Wink of Stella liberally all over the die cuts. 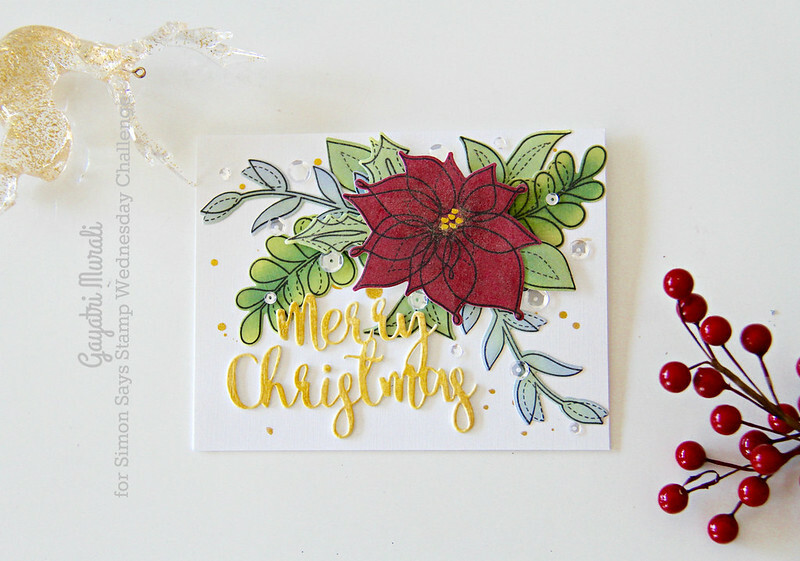 Sentiment is die cut using SSS Merry Christmas dies. I die cut three of them using white cardstock, stacked and glued them. I then sponged gold ink on the top layer of the sentiment die cut and adhered on the card front. Finally embellished with Pretty Pink Posh Sparkly Clear sequins. 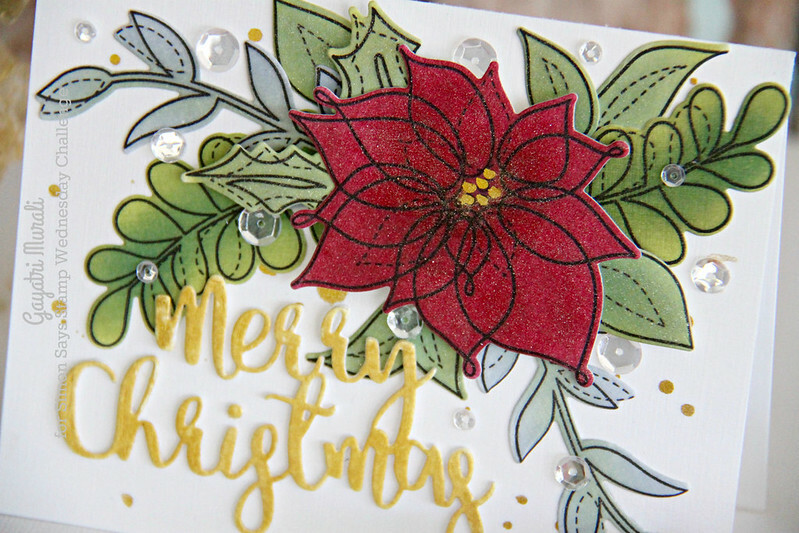 Beautiful work, Gayatri – you've just put these stamps on my wishlist!